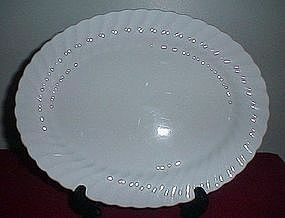 Johnson Brothers England Snowhite Regency Platter, 12" long. 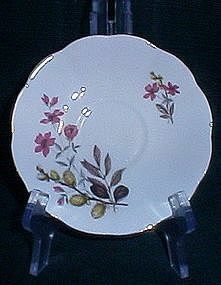 Backstamp has the name and Crown above the Johnson Bros Made in England Ironstone. Excellent condition. 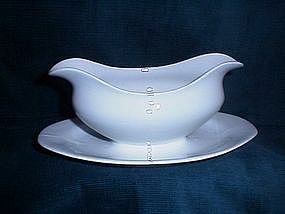 Johnson Brothers England Gravy boat with attached underplate. There are three chips under the plate, only one is slightly visible from the top. Has some discoloration in the bottom of the boat, and is developing some crazing. 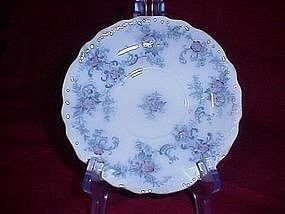 Royal Dover Bone China Teacup Saucer, pattern unknown, mint condition. Set of three Wood and Son Royal Semi Porcelain saucers, on the back mark "ELSIE" appears at top. Two are in good condition, one has a very small amount of brown discoloration at the edge. No cracks or chips.